Forty @ 40 – Completed! 1st January 2015 saw the beginning of Forty@40. A challenge to fit them all in amongst other things! This picture is a selection of the numbers, medals and other freebies collected. Including a bottle of beer from Penmaenmawr fell race! All of this was to raise money for the Umeed Partnership which supports multi-faith schools and education projects for girls in Pakistan. Here is a bit of a report for those who have donated through the year – Many thanks to you all! Race two: Twin Piers 10k (0:48:01) from Llandudno pier to Colwyn Bay Pier. A road race (with a following wind on this occasion,) it was so strong, that at times it felt like running in a vacuum! Race three: Back to Fell racing with Moel y Ci. 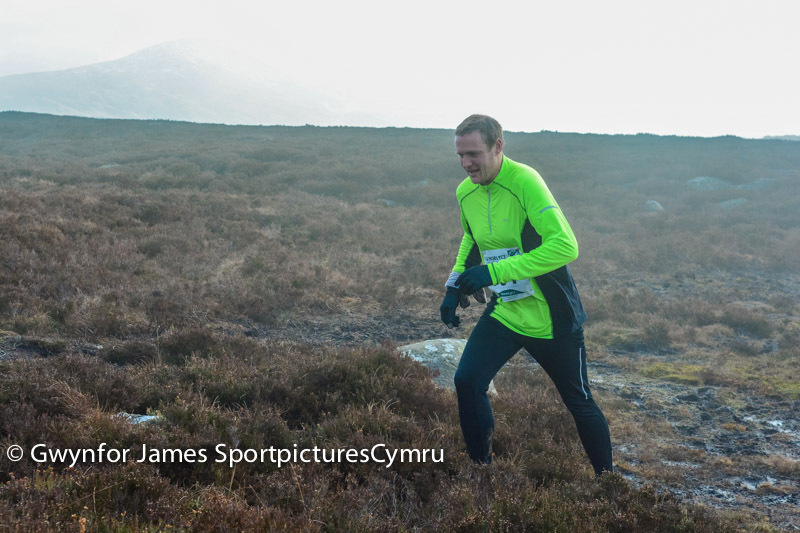 (1:00:37) The first of the North Wales series of races, see how the winter training went. Squelching through the boggy hill! Race four: Pipe Dream. (0:51:52) Getting up between those pipes at Dolgarrog, well, it was actually running up over 400 uneven steps, then when you reach the top your legs appear to stop working, but coming down was rather better! Race five: Loggerheads Trail 10k (0:53:51) a hilly race in loggerheads country park where steps featured once again and not far off the flat 10k time either! Race six: Deiniolen 10k (0:49:05) Just down the road from home at Fachwen, perfect to jog down, race and jog back. Great local race, but with killer hills at the beginning and end, still ended with a reasonable time though! Race eight: Rhyl Half Marathon. (01:42:17) Upping the distance a little and a challenge to beat David. (Check) Running from Rhyl to Prestatyn along the prom was fine, but then the wind was at our backs which meant of course the opposite on the way back! Race nine: Tal-y-Fan fell race. (01:47:45) The race took place during the Rowen village fayre, so the supporters were entertained whilst the runners were away. Seriously unprepared for the first uphill, however the top of Tal-y-Fan was impressive. Race ten: Man-v-Mountain. (05:32:14) A 22 mile race from Caernarfon to Llanberis via Bwlch-y-Groes, Bwlch Maesgwm and the top of Snowdon, up the slate path to Dinorwig, followed by abseiling down a bridge, jumping into Vivian quarry and swimming over Llyn Padarn – all in a day… but never again! Race eleven: World Masters Mountain Running Champs (01:03:13) All the hills above Betws-y-Coed, plenty of mud and an international field! Race twelve: Moel Siabod (00.49.02) Just a quick dash to the top of Siabod, nothing too difficult. Race thirteen: Mountain running championship (01:25:51) Three loops – up to Llyn Elsi, down the forest track round the church and up we go again! Race fourteen: Ceiriog Canter Fell Race ( 1:07:28) A small fell race, but interesting course including diving under and over fallen trees towards the end, beautiful scenery around Glyn Ceiriog! Race fifteen: Bangor Half Marathon (01:41:39) In preparation for the next one, this race went by rather quickly taking in the Pier, industrial estate and Penrhyn Castle and a PB to boot finishing in Bangor high street dodging the shoppers! Race sixteen: Marathon Eryri (03:58:33) Another PB, two in a row and the first time under 4hours. Perfect conditions, though it started wet, this helps the climb to Pen-y-pass. It dried out by the time we reached Beddgelert. A swift descent from Bwlch-y-groes ensured the PB. Race seventeen: Betws Trail Challenge 10k (00:46:57) Yet again into the hills above Betws, a 10k PB despite the hilly course makes three in a row. Will now have to go back and try a flat one again! Race eighteen: Penmaenmawr Fell Race (01.36.02) No excuse for not doing this one, especially as there is a bottle of beer as a race medal! Race nineteen: Llyn Llydaw (00:57:35) 1st January 2016 ends the list as it began, far better weather and a faster time too! A special challenge makes Race twenty the Llyn Elsi time trial: This was run at least once each month: A four mile route up the forest track, following the white markers round the lake and down again. Only the fastest time counts and in November a time of 00:34:50 was recorded over 10 minutes faster than the first. Interspersed through these 20 races were 20 Park Run 5k races at either Bangor or Conwy. The 5k PB came steadily down over the year from the first run time of 00:26:04 with a final time of 00:20:54 recorded at Penrhyn Parkrun in Bangor. So, it is completed! Many Thanks to all those who have donated over this past year. This month should have seen the arrival of the performers from Pakistan taking part in the ‘Open Every Door’ Project production of Joseph. However it seems to be wrongly titled, perhaps the original Joseph production got the title right first time around – ‘Close every Door’ As that is what the UK Gov. have done to the young people from Pakistan. They have had their application to enter the country denied, despite the formal invitation and program of productions involving Bishops, Schools, performances at Cathedrals and many Churches and in conjunction with other charities. It seems that a Catholic Worker Priest and 14 Pakistani School children are too much of a threat to our country. We are all to ready to throw money, but not so ready to welcome them to our homes. Shame on you immigration! !